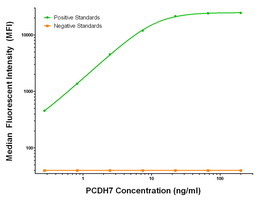 Mouse anti Human PCDH7 OTI3C8. 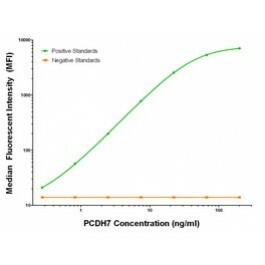 Product is tested for Luminex. 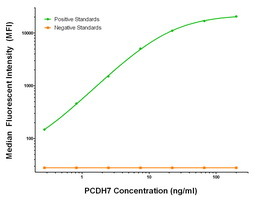 Full length human recombinant protein of human PCDH7 (NM_032457) produced in HEK293T cell. 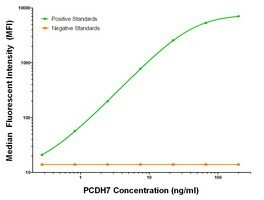 Stored in PBS (pH 7.4) containing 0.05% sodium azide and up to 5% trehalose.